To us, Rima & Taufan is so full of sweetness! 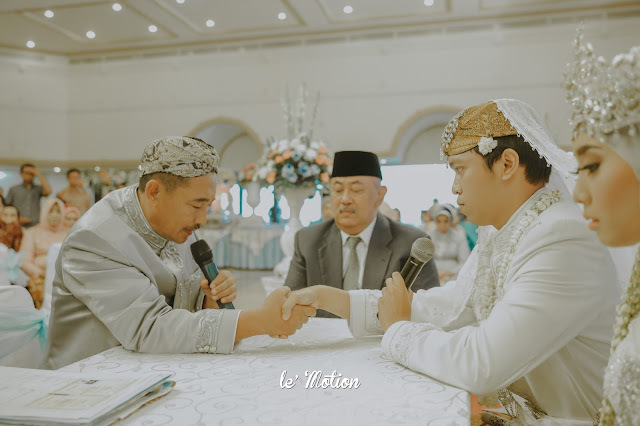 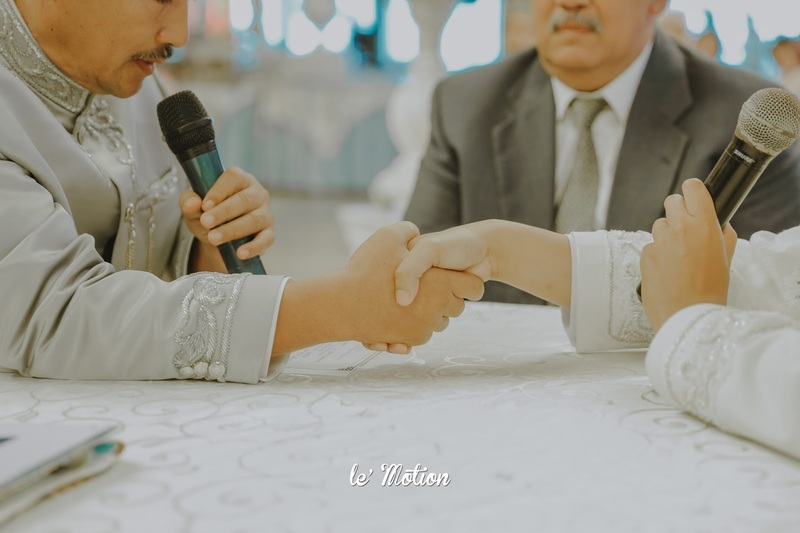 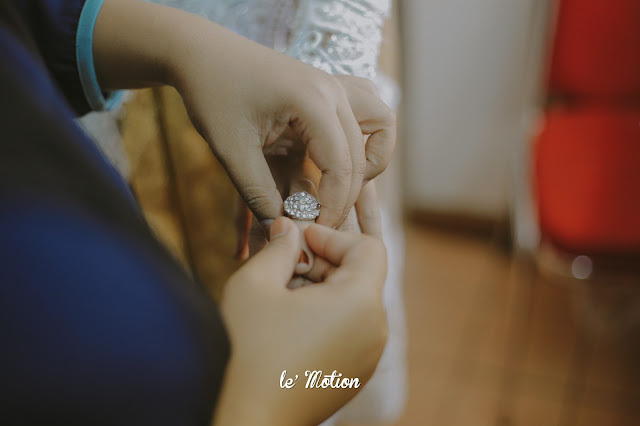 And by that, we mean that they both have such genuine souls and always treat, not only each other, but everyone (including us, Le' Motion, as one of their wedding vendors) nicely with utmost care, respect, love and kindness. 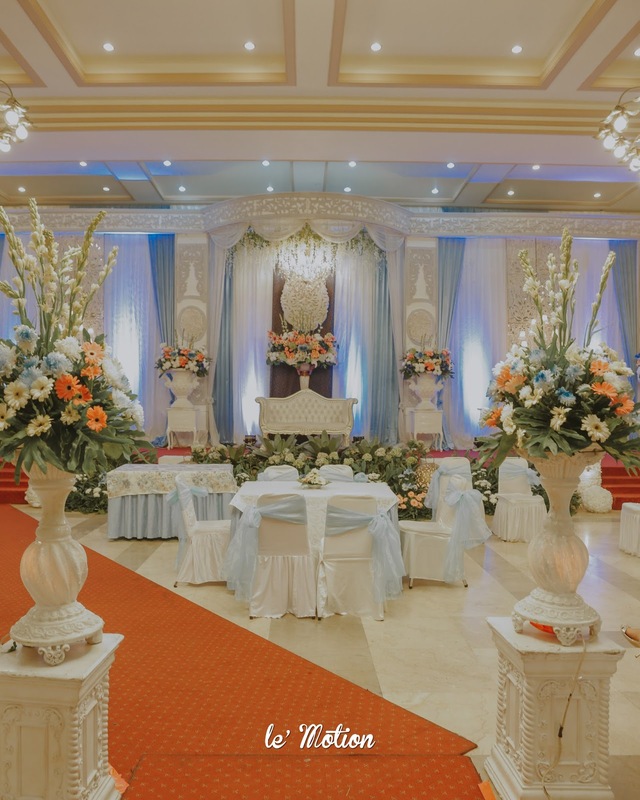 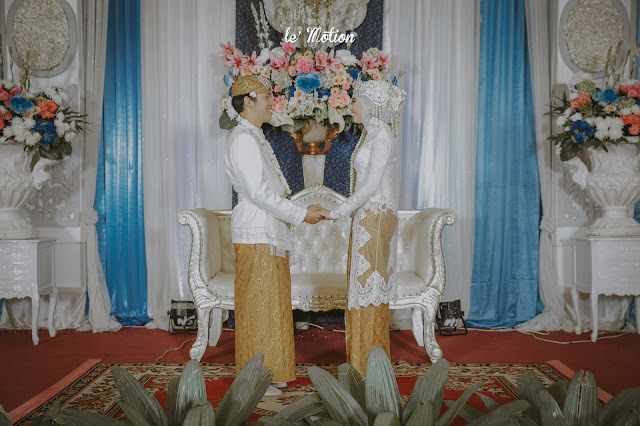 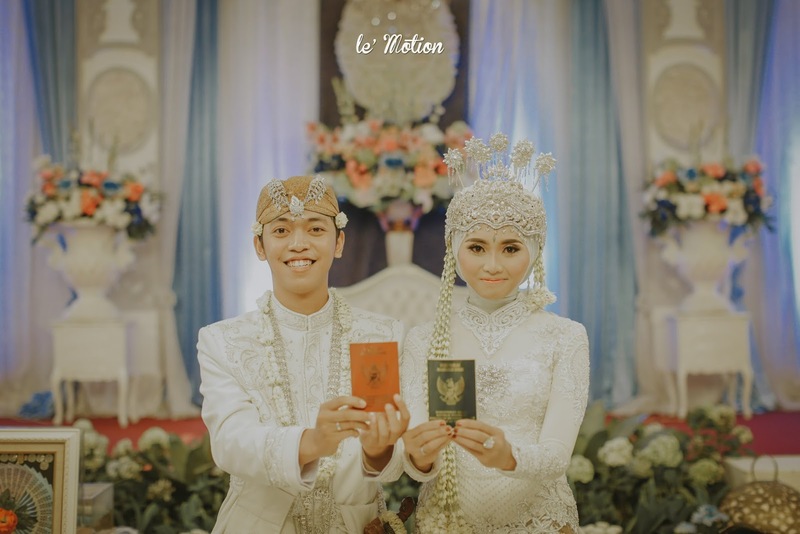 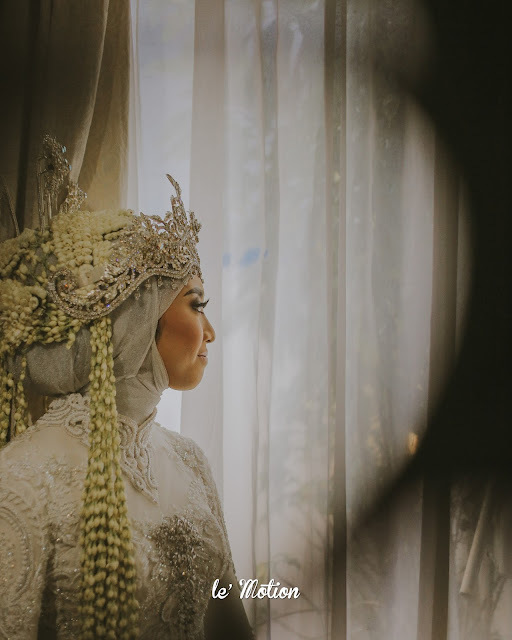 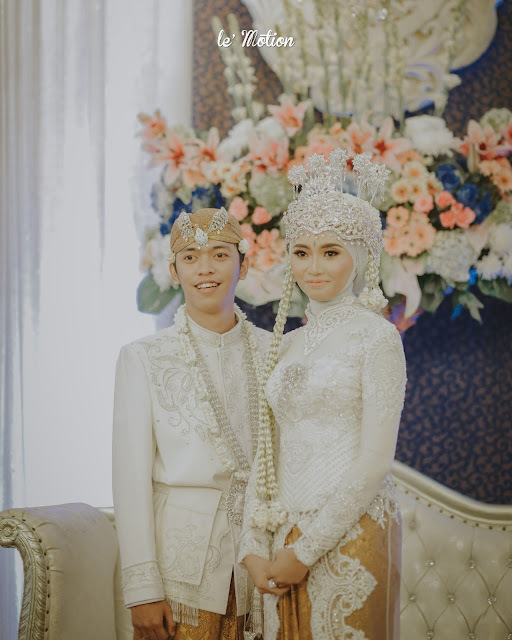 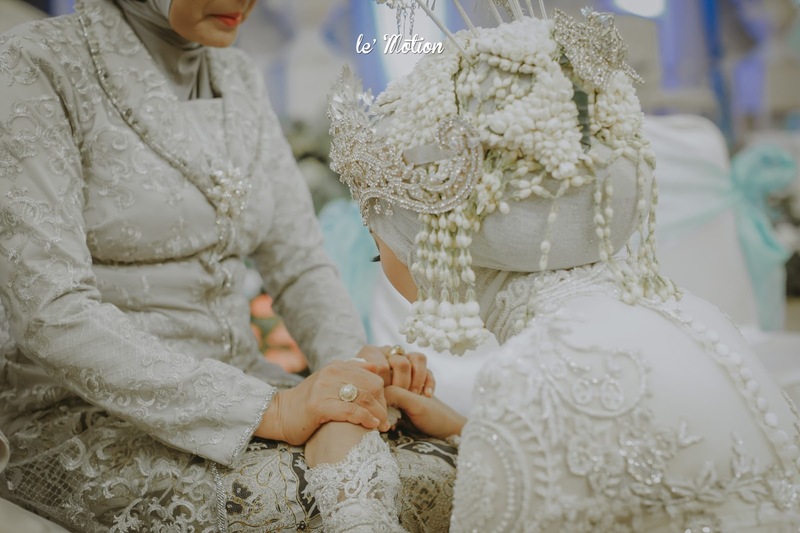 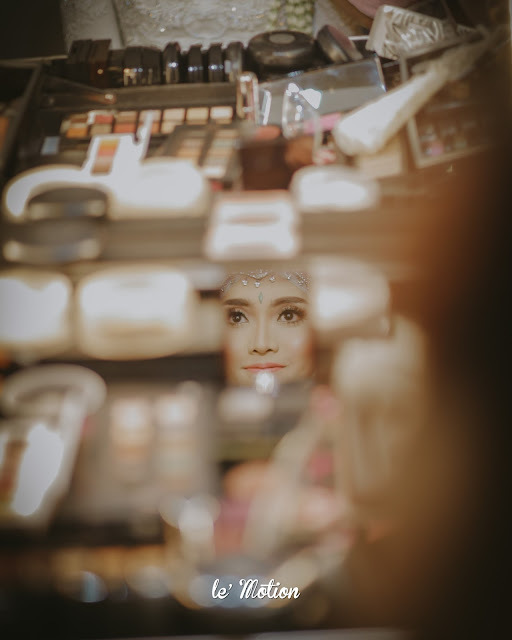 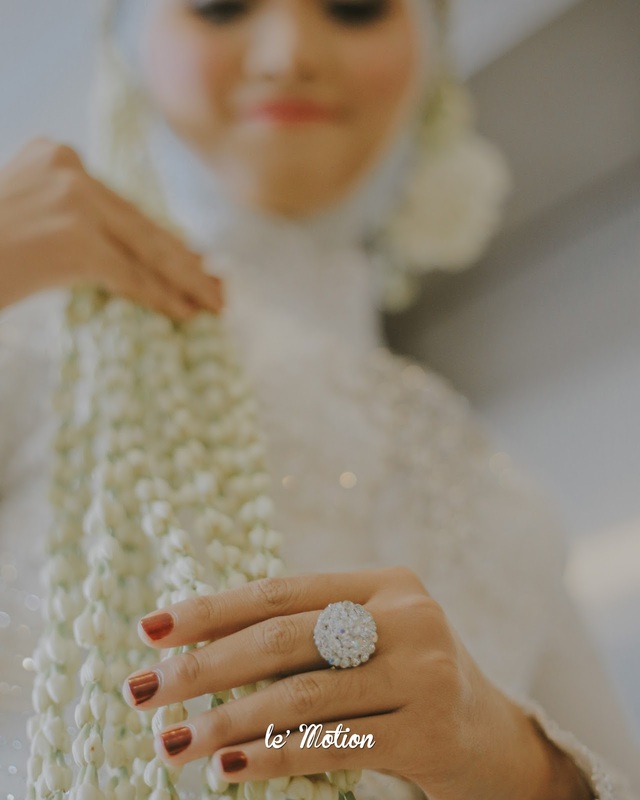 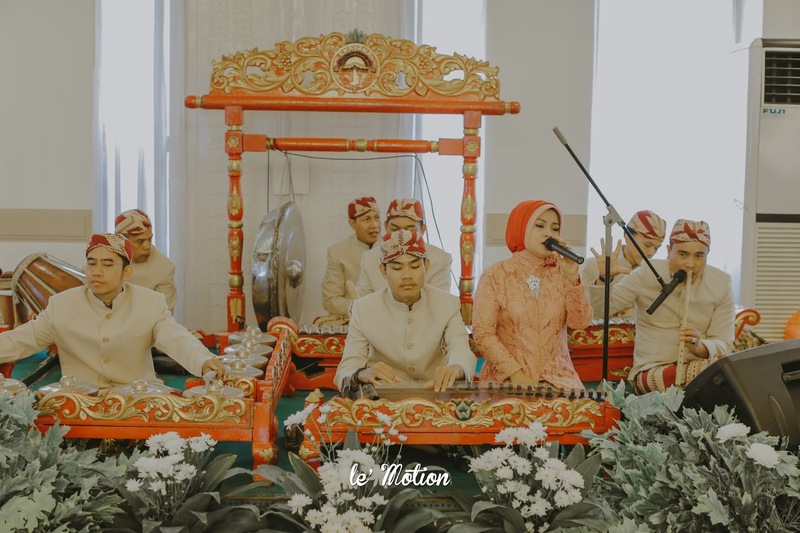 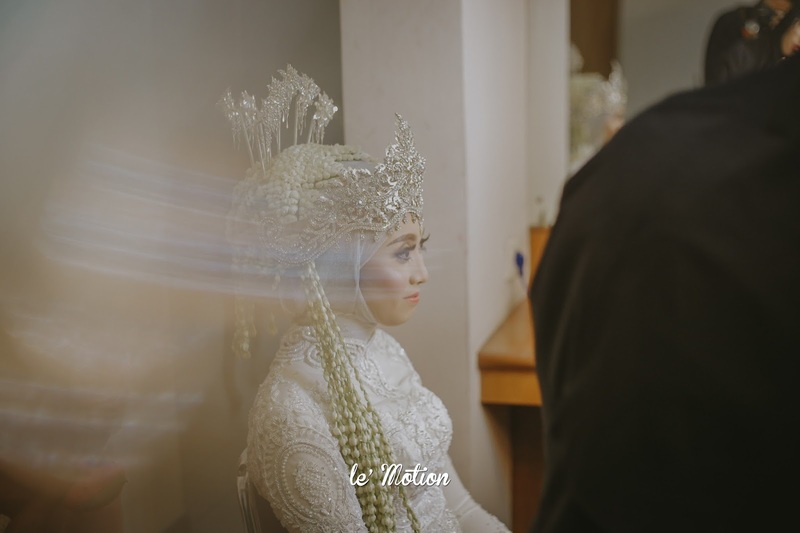 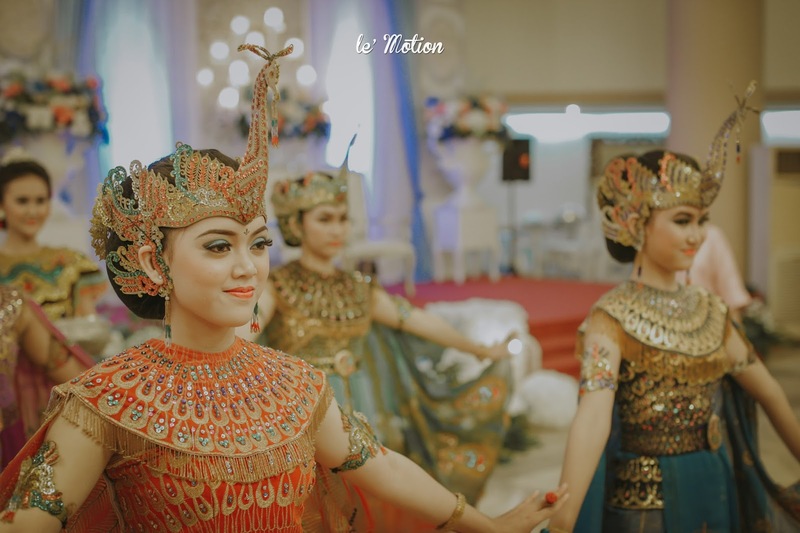 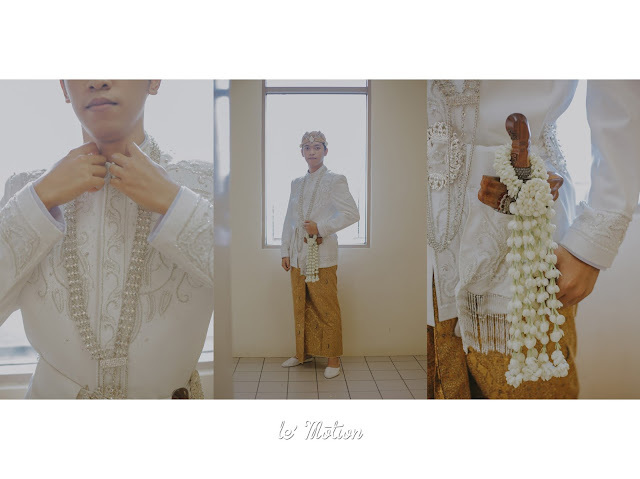 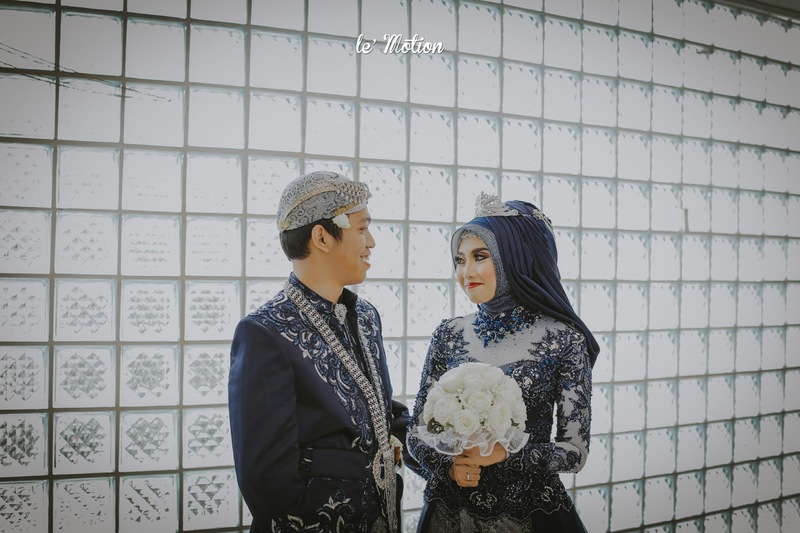 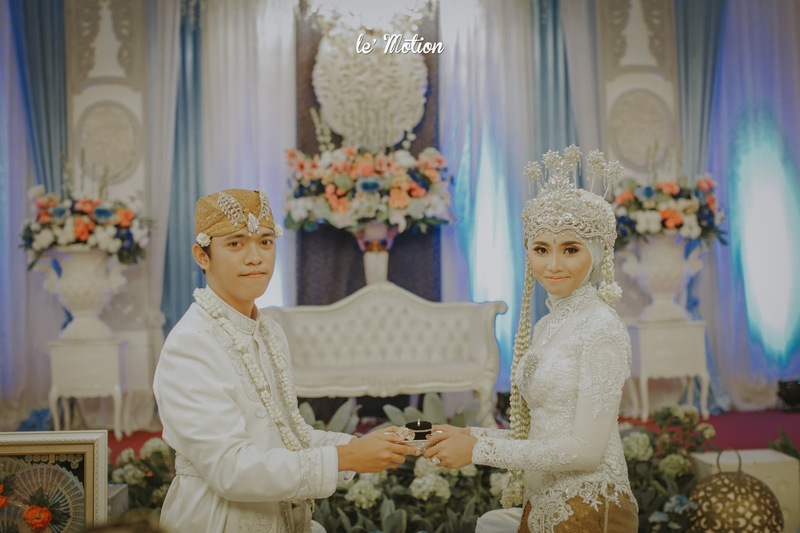 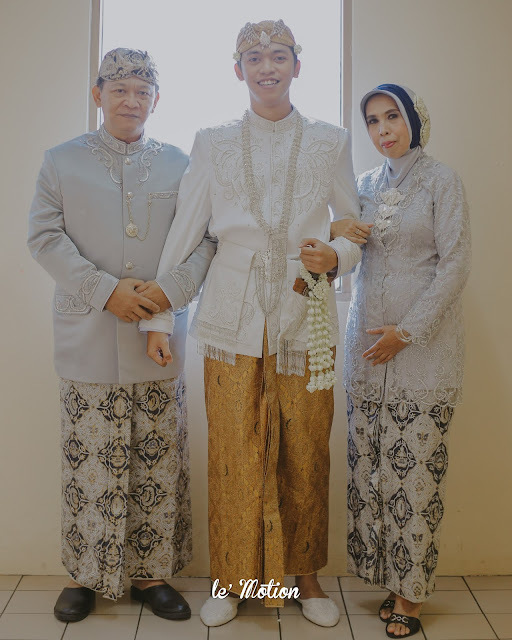 Rima & Taufan followed the Sundanese custom and rituals all through their wedding procession. 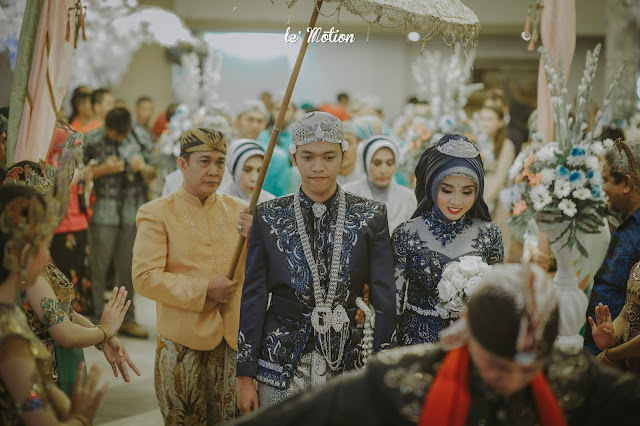 It firstly started with the Meuleum Harupat ritual, where the groom holds a stick made of palm leaf, and the bride lights a candle and burn the leaf. This symbolises an attempt of the union that binds them as a couple to always stick and work together to solve problems coming onto their married life. 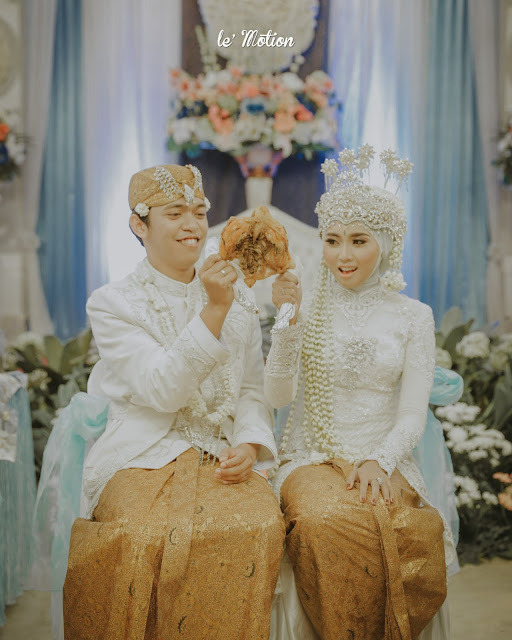 Then as the leaf is aflame, it will be put into a jug of water until the fire goes out. 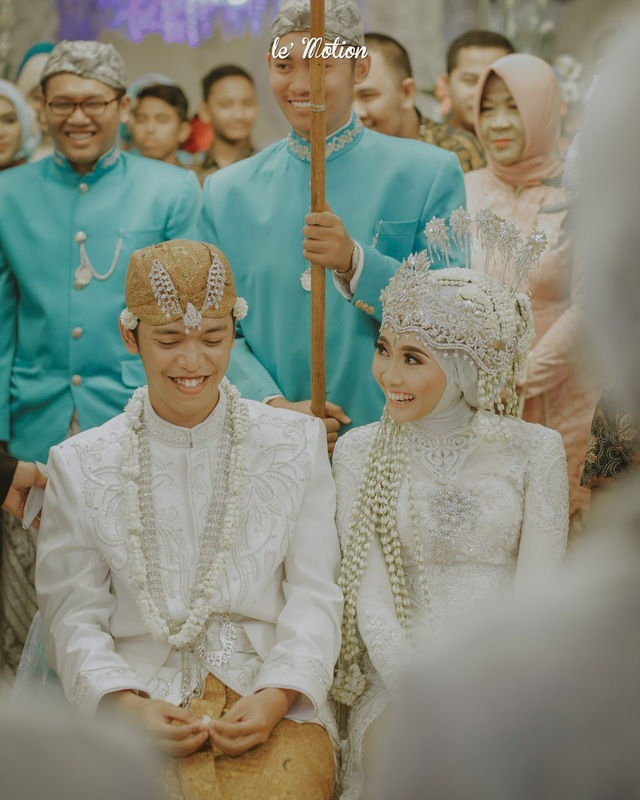 After that, the stick will be broken into two and thrown away. 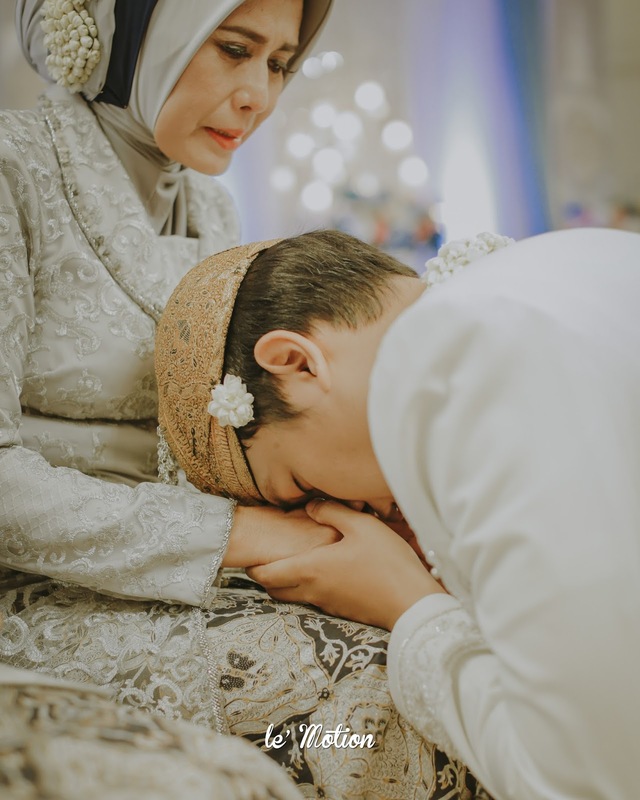 This illustrates the role of a wife as a water that cools down the husband's anger. The second ritual is the Nincak Endog, where an egg will be placed under a board made of bamboo and the groom should step on the board to break the egg. 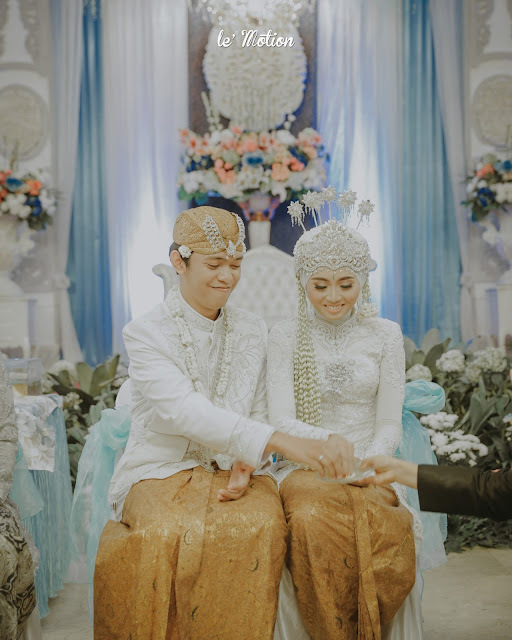 Then the bride will rinse her partner's foot with water. 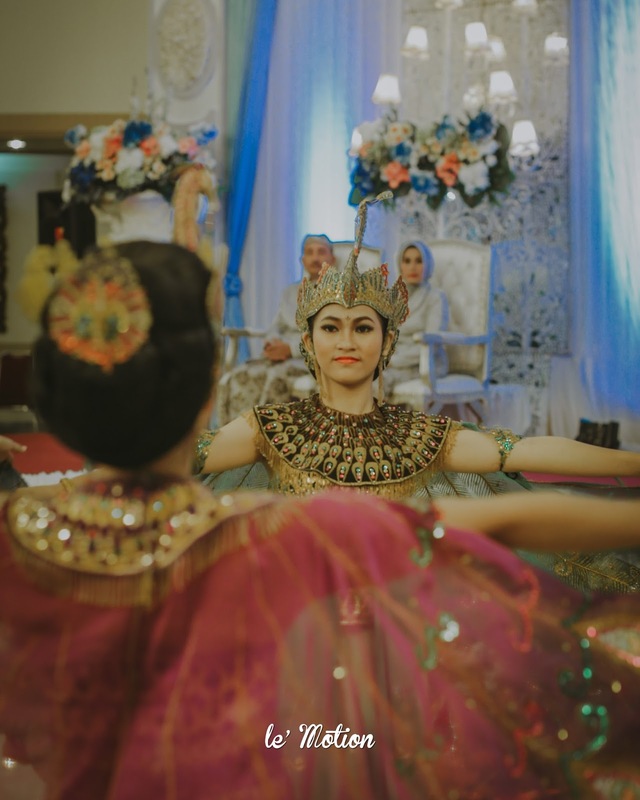 In short, this ritual depicts the groom that will deflower the bride, and that the bride will be devoted to him hereinafter. 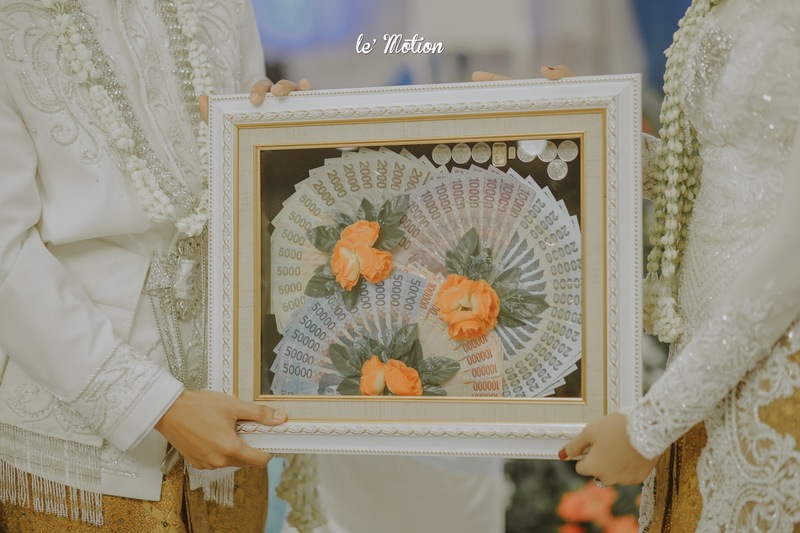 The third ritual is the Huap Lingkung, where the parents of both the bride and groom will feed them for the last time and the couple will have to work and earn on their own for a living. The fourth ritual is called Pabetot Bakakak. 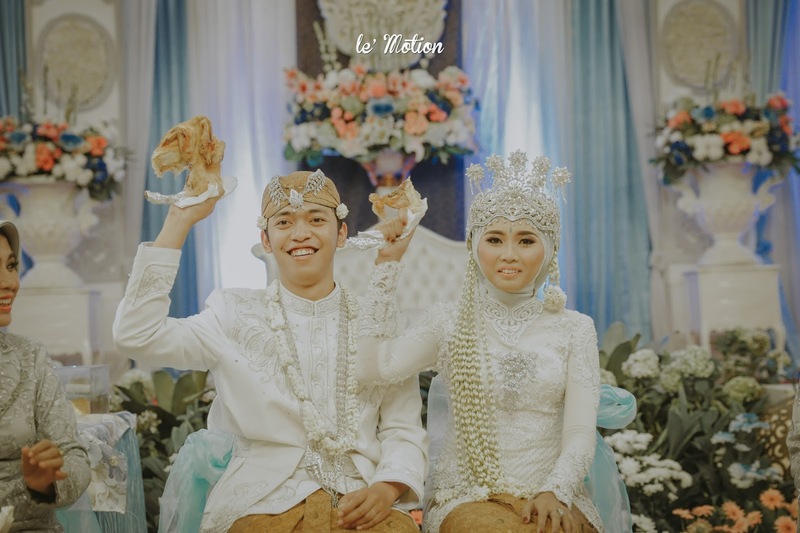 The bride and groom will sit face to face and pull a grilled chicken until it's torn into two. The one who got a bigger piece will have to share some to the other. This ritual emphasises on the "sharing" act of the couple for any wealth they have, regardless of the worth or amount. 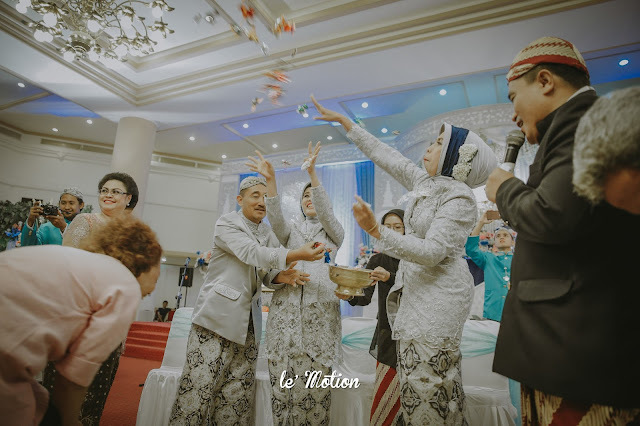 Finally, the procession ended with the Saweran, which demonstrates how the bride, the groom, and all their families are sharing the fortune and happiness. 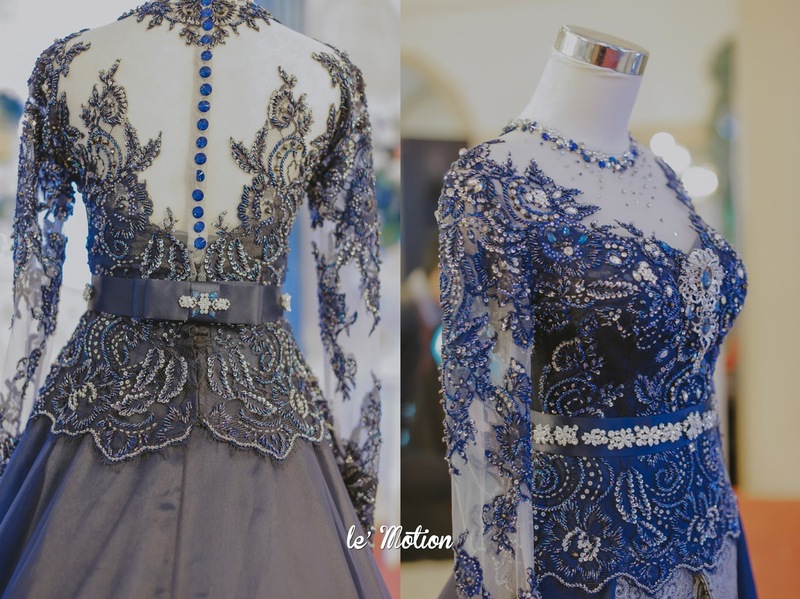 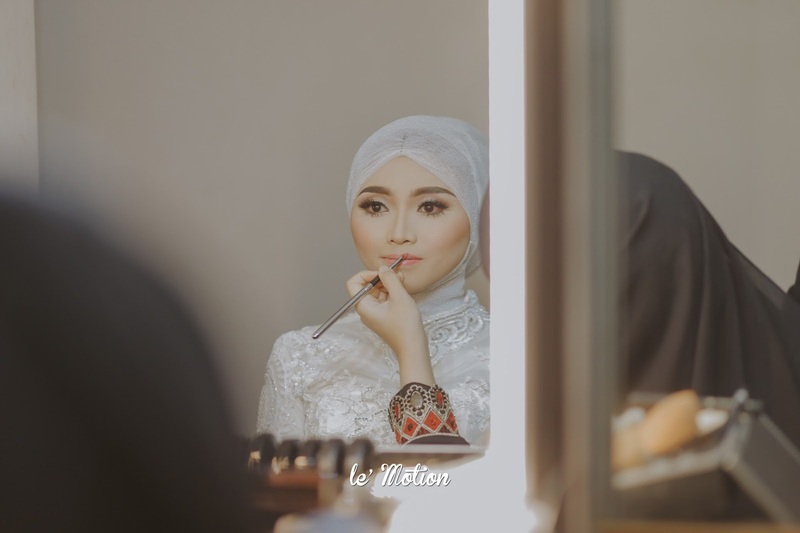 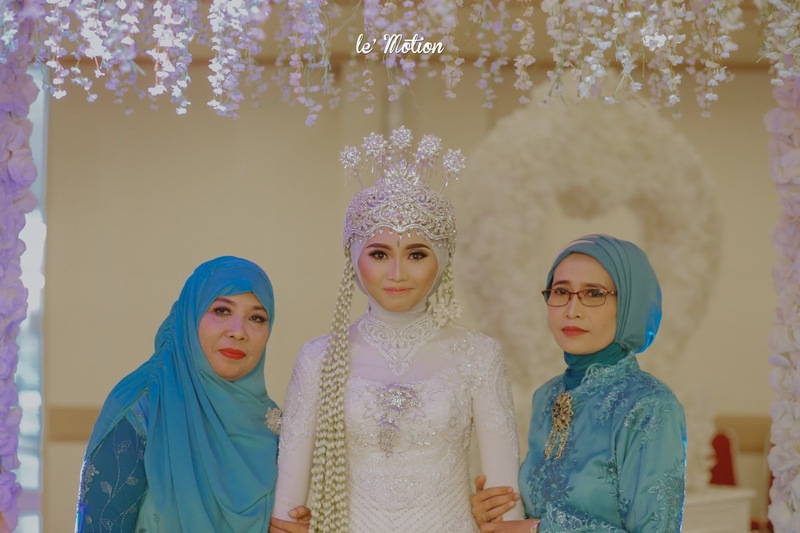 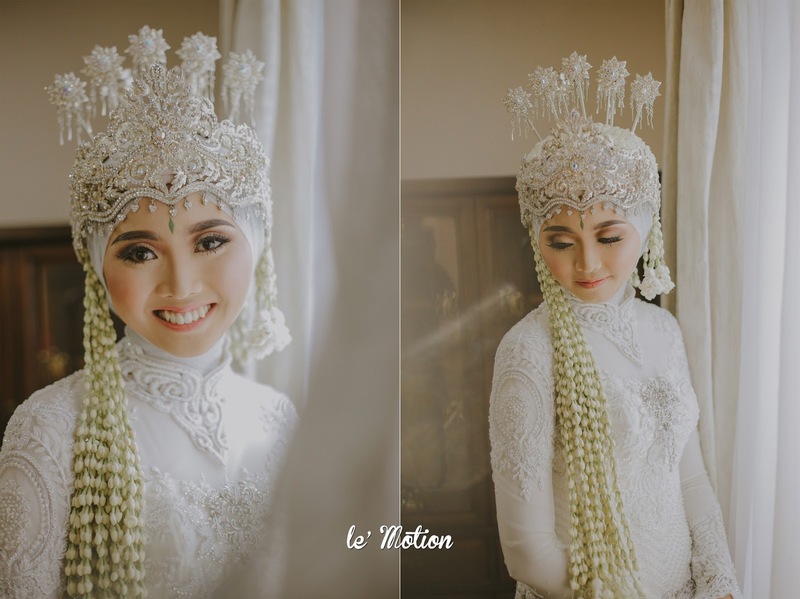 Those are the highlights of Rima & Taufan's wedding. 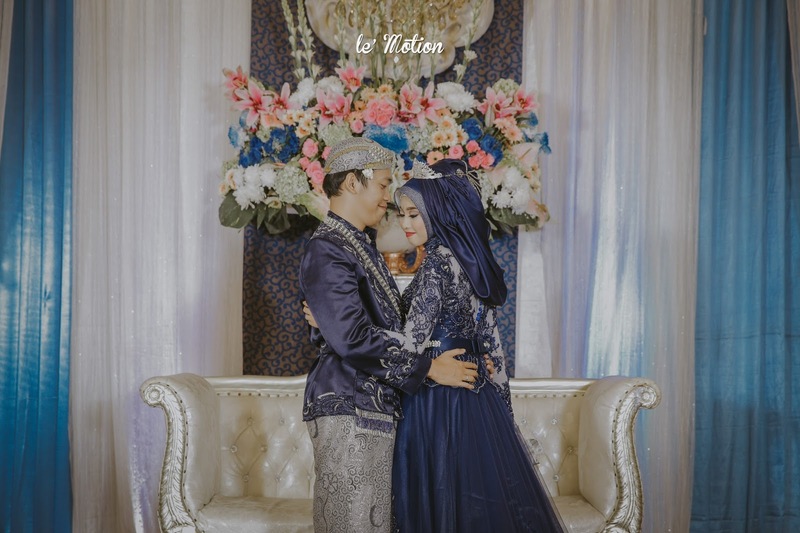 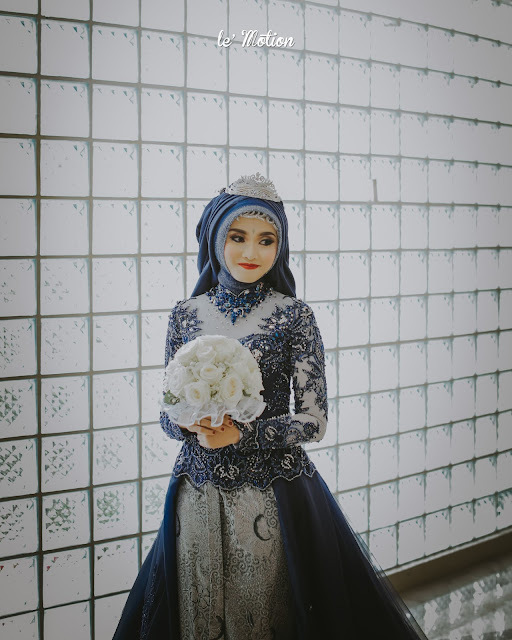 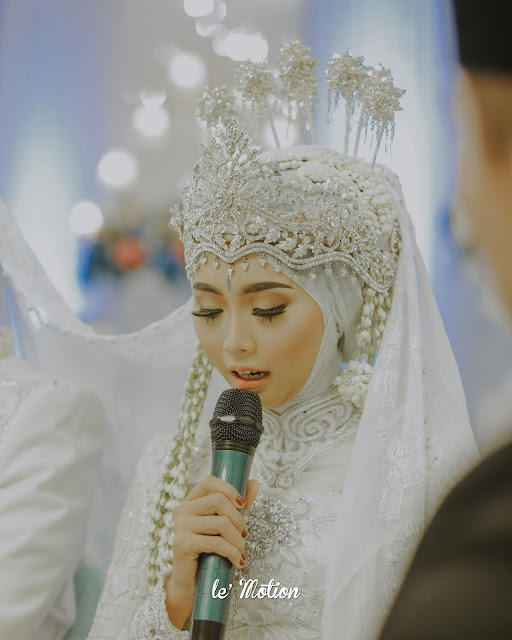 All ceremonies went jolly and everyone can feel the connection of happiness that shines so brightly through the newlywed couple. 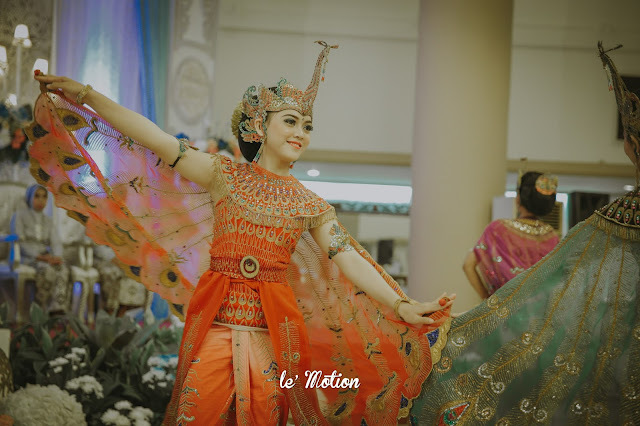 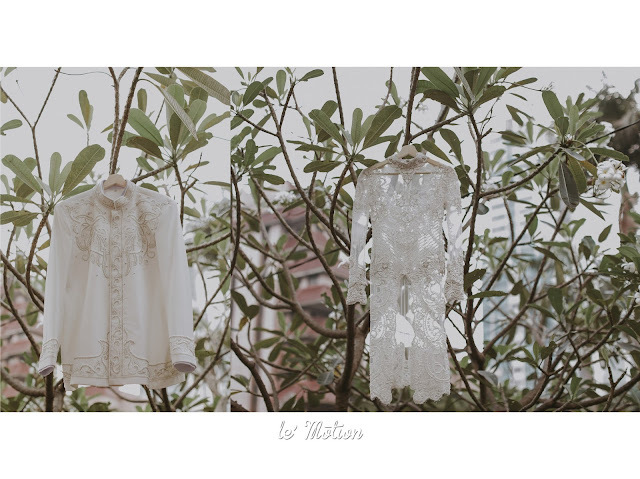 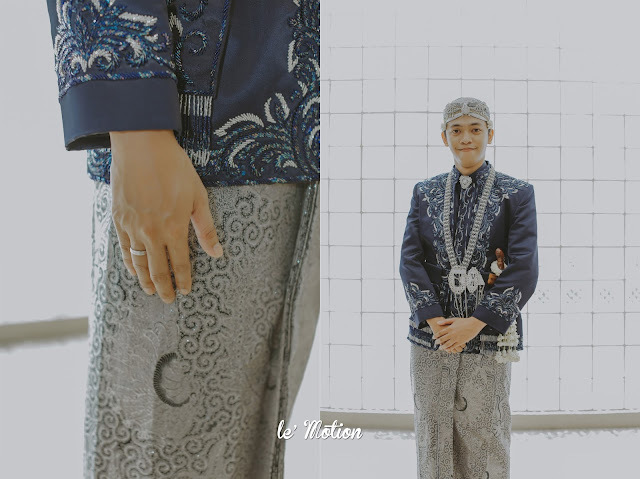 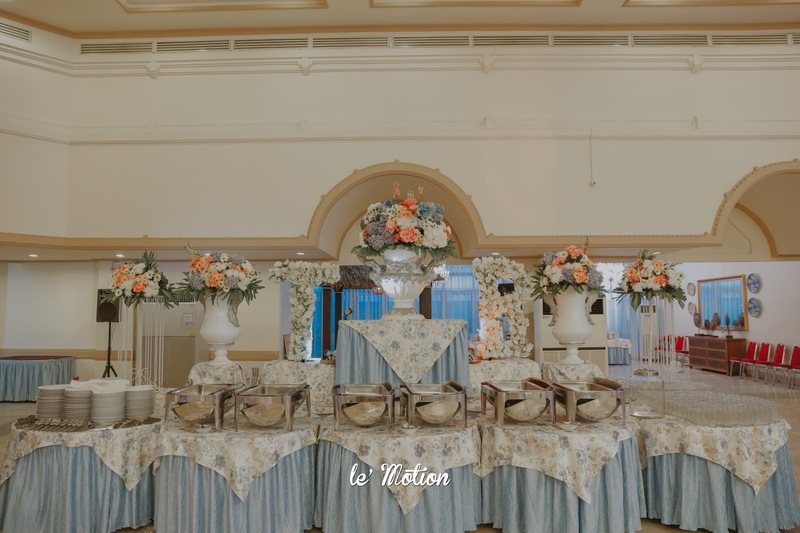 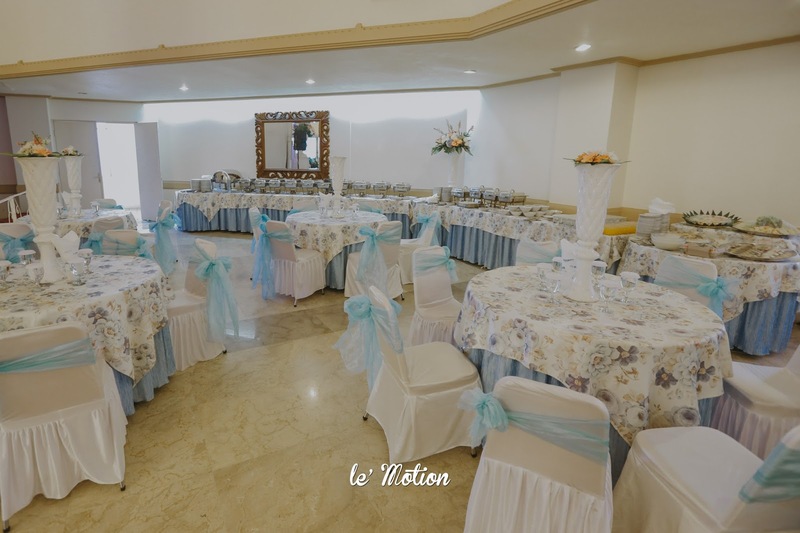 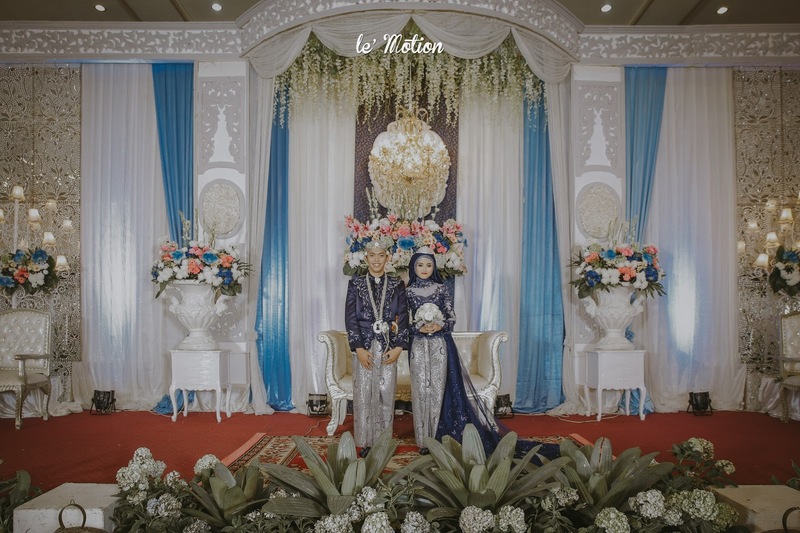 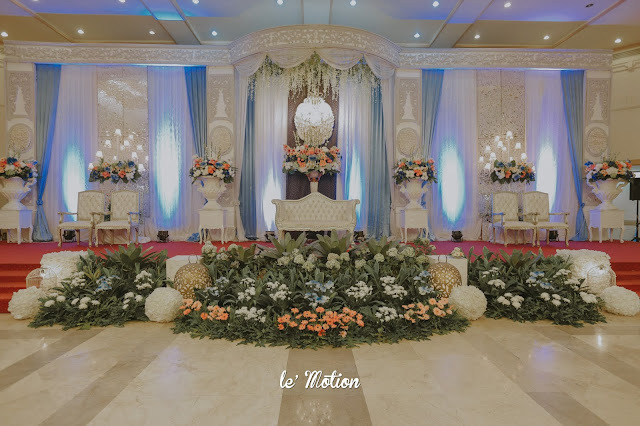 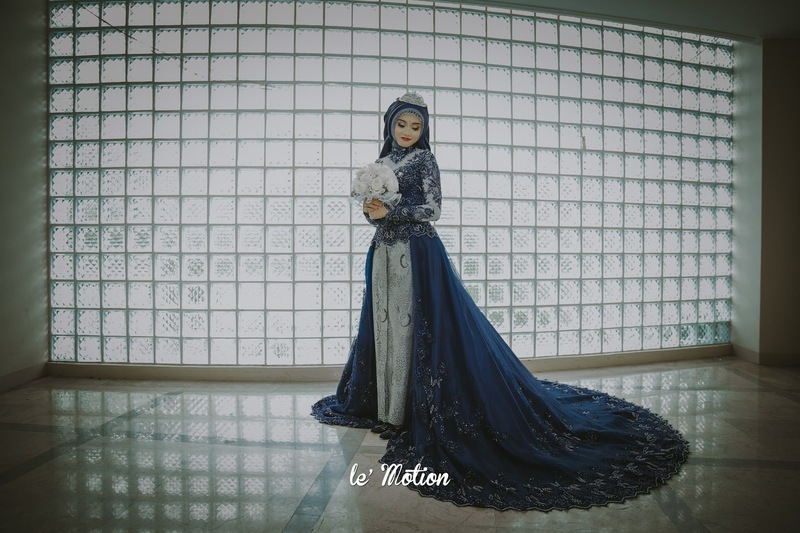 Le' Motion is indeed very pleasant to help them capturing their extra special moments for them to remember, we even can't get over it!